The 7 Day Garden Party at Mr. Green was awesome and the demand was great. Like they say, “all good things come to end”. The 7 days seemed to be very short for players. However, Mr. Green has decided to bring the fun back by extending the Garden Party further with 7 more extra days. Now that’s awesome! If you failed to grab much of the fun there is still more 7 days for you. 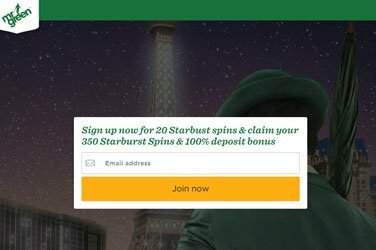 It’s another 7 days of free spins at Mr. Green! 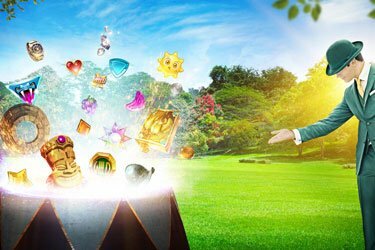 Since the Garden party has been extended further by 7 days, players will receive free spins every day. Furthermore, you will receive a new batch of Garden Party tickets worth €20 each and each ticket gives you 7 days access to the 20 daily free spins as well as loads of fun. How to get the 7 day pass for the garden Party at Mr. Green! Obtaining the tickets is quite simple. All you have to do is to make a deposit of €20 or more and you will automatically be partying with Mr. Green. For the next 7 days, you will receive 20 free spins daily and lots more. The extended 7 days will kick-off as from the 17th of May and the free spins awarded will be available for play on NetEnt slot game titled “Aloha! Cluster Pays. To know more about Mr. Green as well as its current promotions, read Mr. Green Review here! By following NetEntCasinoReviews via Twitter, you will always be ahead of the race. Keeping track of the latest promotions taking place at your favorite Casinos is like a rat-race and the first players to catch the latest news will always be lucky to claim a bigger slice of the cake.